If you follow me on social media or have been keeping up with Vlogmas, then you know about these cookies. As soon as I posted the first photo on Instagram I got countless people requesting the recipe! The recipe currently belongs to my mom (of course I copied it as soon as I started living on my own) and I asked her for a little backstory! She first discovered these "Knoertzer Sugar Cookies" from a family friend back in her school days. She fell in love and had to have the recipe and now you guys can enjoy it too! Now one batch of these cookies doesn't make very much, so definitely double or triple the recipe if you're making them for more than just a couple people. Plus they're so delicious you're going to want plenty. Now the recipe I have is literally just ingredients since I've made it so many times, so I'll do my best to act like a professional food blogger and give you all the deets. Ingredients for Frosting A very word of mouth recipe and isn't an exact process...sorry! 16 ounces of powdered sugar extra to thicken up the frosting. Add all the wet ingredients together and then add in the dry ingredients. Keep adding flour little by little until the dough is just slightly sticky. 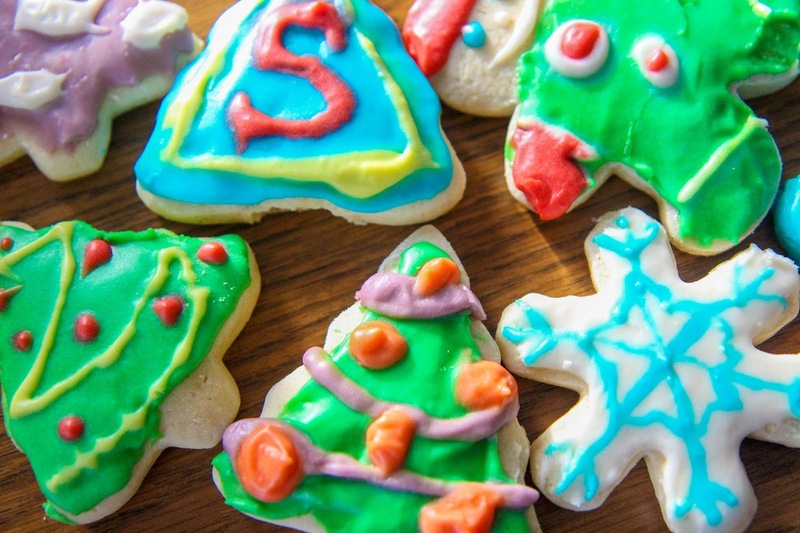 Roll out the dough and use floured cookie cutters to cut out shapes. Place on parchment covered baking sheet a couple inches apart. Let me know if you're having any issues as this recipe definitely isn't one with exact details or baking instructions!